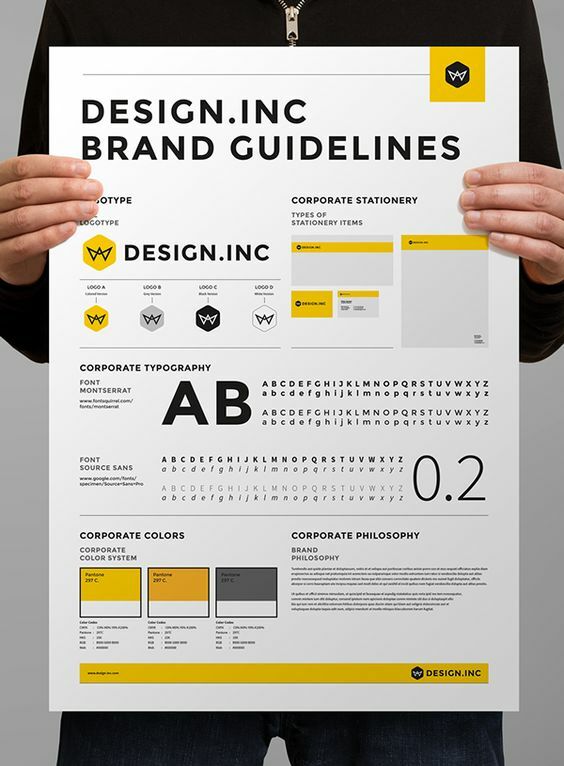 LEARN | 822 Design Co. EFFECTIVE IMMEDIATELY: Fort Wayne, IN — As of late March, Darius Williams will be the new Project Manager for the Fort Wayne metro area and surrounding cities. He will be taking over as your new point of contact moving forward. Our current Project Manager is leaving us to pursue new opportunities. Any freelance requests or non-related inquiries should be directed to her personal email (her company email will be deactivated beginning April 1st). Don’t hesitate to reach out to Darius with any of your immediate needs: darius@822designco.com. Once he’s fully up and running, he’ll be in touch to make sure we’re meeting your current goals for all pending projects. We hope to make this transition as smooth and seamless as possible. Refer to this link for more information about our design services! This isn’t an article meant to discourage your creative ambition or aimed to make you spend money on unnecessary design services. This is an article about how a small investment into your website can significantly raise your sales and propel your business forward. In fact, it may be the single-handed most important place to invest your start-up money — and this is why. In today’s world it’s all about the DIY — blogs, Pinterest and YouTube literally have How-To’s about everything: How to open a wine bottle with a shoe, how a paperclip and a 10-second breathing technique will help you overcome your fear of public speaking, how to whip up a cheese-based casserole that will fix your broken relationship. We, as creators, love that. To be able to sit down with a cup of coffee and have so much creativity at our fingertips is like having Starbucks baristas pass out free two-day-old muffins and cookies to the last customers of the night or when the cashier at McDonald’s slides you an extra chocolate milkshake they accidentally made — it just makes life better. It’s as if the internet has put everyone in the entire world into a blender, ran them through a sifter to filter out the seeds and chunky crap that no one wants to swallow, and poured out this wonderful juicy content from the best of the best in each field. Sure, there’s a lot of bad seeds and chunky stuff floating around the internet too. That’s obvious. But creatively speaking, the good stuff tends to float to the top of the search engines and it gives us the ability to learn in minutes and hours what took experts years, expensive college degrees, and countless mistakes to learn. We love that. It helps us as designers to learn and grow exponentially. But there are times when the internet gives us all a sense of confidence in areas it really shouldn’t. There are entire websites dedicated to fails the internet told us we could do. That 1-Minute Mug Brownie that exploded in the microwave, that DIY self-tanner that resulted in a streaky, dirty mess, or perhaps those DIY home repairs that left you in worse shape than you were in before. The point is, not everything is meant to be a DIY job. Some things are better left to the experts — and building a website that represents your entire business is one of those things. F R E E R E S O U R C E ! Your freebie is on the way! Things like video tutorials and website templates make it possible for non-designers like you to design your own website. Which is awesome if you have a budget of $100 and the time on your hands to do it. But even with all these amazing tools available it can still be an extremely frustrating process for beginners. 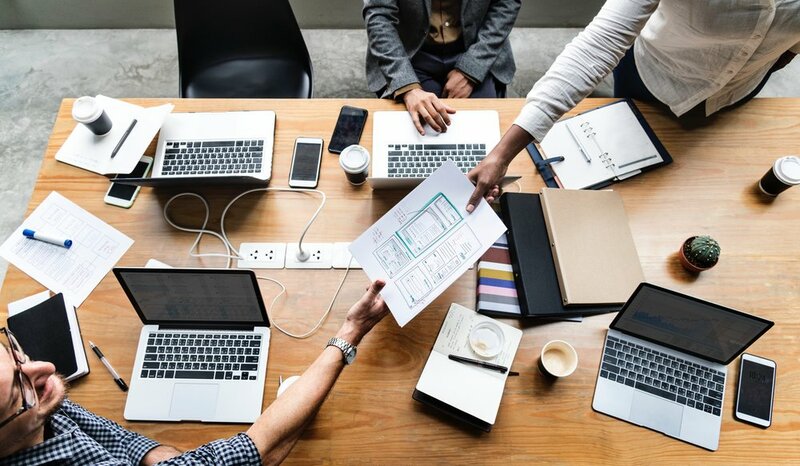 More importantly, a professionally designed website will not only look significantly more appealing and put-together than a non-professionally designed one, there are other factors that play into it too, such as giving your brand a consistent look and marketing to your target audience — which has proven to bring in more customers and garner more sales overall. Designers don’t have to be overly expensive and affordable only to big companies. It is very possible to hire a designer to launch a website for your small business that will compete at the highest level without spending tens of thousands of dollars out of your pocket. It’s even possible to do it for less than $1,000. 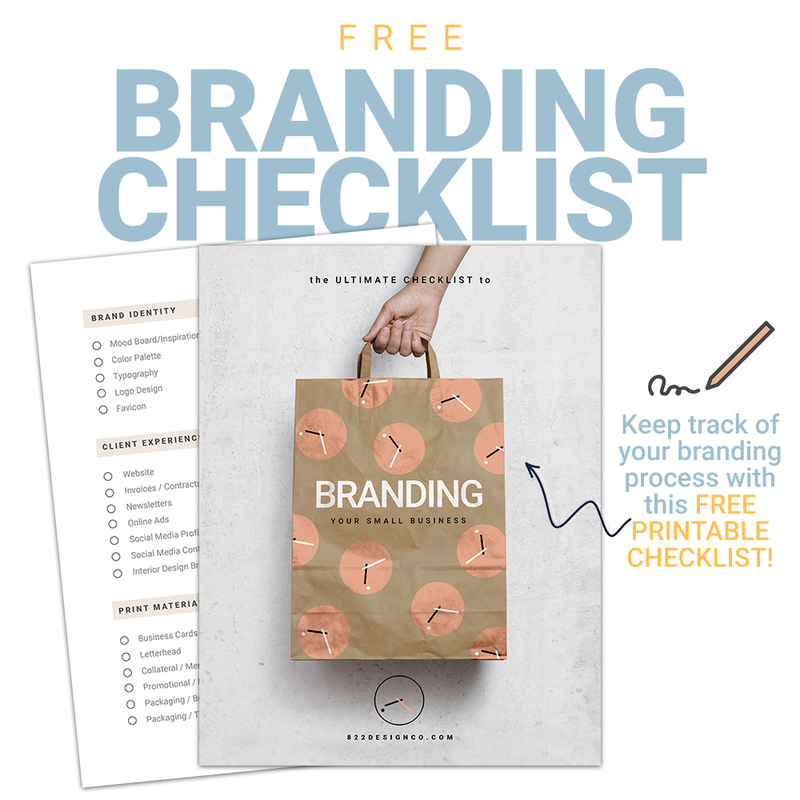 But if you can afford to spend somewhere between $2,000-$4,000 then you can afford a Brand Identity package that will help boost your business tremendously. Simply put, a Brand Identity is how a business presents itself to it’s customers. It’s ultimately how you want the market to perceive your product or brand. It includes logos, key colors, marketing materials and a website that all have a consistent look and feel that represent your brand. At 822 Design Co. we have a passion for helping people with small budgets get their businesses off the ground, so we deliberately set our prices to be reasonable and fair for both parties. In fact, we launched our own company with a $500 budget, a constant stream of Lofi hip-hop off YouTube, and endless homemade cinnamon lattes. We thrive on taking something average — an idea, a concept or an existing business that may be structurally in tack but lackluster in terms of design and vision — and turning it into something extraordinary that rivals today’s millennial market. Things like SEO and setting up proper Keywords are things you’re gonna need to have in place. If you’re unfamiliar with these terms, have little to no knowledge about how to go about this, or are generally a very busy person then you most definitely should not be designing your own website. But there are other reasons too. If you were to open your own brick-and-mortar store, you would likely need to invest tens of thousands of dollars into it before you could open the doors for business. Right? And over the years, it would surely rise into the hundreds of thousands of dollars range with lease payments and all of the many things that go into it. That’s just the reality of owning a business with an actual physical location — and it’s worth it because your store makes you money. But if you have no brick-and-mortar store, your website is your store. So wouldn’t it make sense that the majority of your budget should go towards making it the best thing ever? I mean, this is one area you really don’t wanna cut corners on. It’s your moneymaker. And, after all, perception is everything. Give an Outstanding Perception. Create an impression that appeals to your target audience. Attract Your Market. Make it easy for people to find you. Seal The Deal. You have to offer a great product or service that will keep them coming back. In order to thrive in today’s market, you must have these three main parts and elements in place. Otherwise, it’s like trying to claw your way through an ever-growing competitive market with chewed off fingernails. Ouch. The definition of Perception is a way of regarding, understanding, or interpreting something; a mental impression. Your goal as a business owner should be to give people the perception of something they want to enjoy or be a part of. Meaning, you literally have to create the impression that you want people to have about your business. Create an experience that people will talk about, remember, and come back to. Something they’ll share on Facebook and refer to their friends and family. Something that comes up in conversation with a stranger on an airplane. Something that has the potential to go viral. Even if you don’t have it all together quite yet, you should give the perception that you do until you actually do. How do you do that? Well, that’s just it. Unless you’ve been trained in this area or have a supernatural gift for generating exposure out of thin air, you really can’t without some help. Maybe you make the best crème brûlée bars in 27 counties, painstakingly hand-sew tiny rhinestones onto wedding dresses in your basement or wanna be known as a musician, singer or rapper — you have to brand yourself. You have to create a perception that draws people to you. In order to do that, you need to hire people who can see you from an outside perspective. You have to create a perception that draws people to you. In order to do that, you need to hire people who can see you from an outside perspective. In the same way that a mixing engineer has a different ear than a mastering engineer or a stranger is more likely to notice your Crème brûlée bars could use a tad more vanilla when you’ve been tasting them for hours, branding agencies and people who specialize in visuals will notice things you don’t. We can often immediately see your strengths and weaknesses, things that need to be highlighted and things that need to be pushed into the shadows. We know how to pull out the best, give your ideas a vision and add special touches that bring your brand to life. The best designers and branding agencies have skills that go beyond visuals into marketing, which give an edge over the others — and, sorry to say, over your DIY website. We have years of experience in knowing how to build an audience by taking your service or product and presenting it in a way that appeals to the masses. Maybe you’ve been in business for years and you have a customer base, but you just feel you need a change. The market is ever-changing and it requires businesses, even mom-and-pop shops, to step up their game and adapt to new surroundings. Perhaps you’re a female entrepreneur holding a multi-million dollar idea but you don’t realize it yet. Our goal as designers is never to take away from the charm of who you are, but rather to add to it. Our goal as designers is never to take away from the charm of who you are, but rather to add to it. Think about it like this. If you have a really great product or offer an exceptional service and no one knows about it, how can your business grow and thrive? Sure, word of mouth will slowly send people your way, but if you want to build a constant stream of business and eventually have the option to quit your day job or turn away an overflow of customers, then people need to be able find you online. But they won’t find you if you don’t know how to tell them to find you. You have to tell the search engines how to find you. You have to “trick” Google into showing a person your website when they type in words, called keywords, that are related to what you do. For example, this article was written using specific keywords with the intention to bring you here — see how we did that? We programmed it to do that. You’re curious about design services and we’re here to tell you about the services we offer. And here you are, still reading this article on our website. In the same way, we’re experts in bringing people to your website and keeping them engaged. This kinda goes without saying, and it’s pretty much self-explanatory: you have to offer services or products that people are willing to come back for. Price it right, find your audience, market it correctly, and treat people right. It’s as simple as that. We can help attract people to you, but it’s your job to keep them happy. So make sure you perfect what you do, get your systems in place, and then hire a professional to accentuate your positive aspects and help smooth out some of your not-so-positive ones too. So, do you get it now? Perception is everything. A small investment into your brand identity can potentially send your sales through the roof and give you the highest return on your investment. This is why you shouldn’t DIY your own website. Because if you don’t hire a professional to do it, your competitors will. And even if you provide a superior product or care about your customers more than they do, if no one knows about you, if you’re not easy to find, if the perception you give off looks like a kindergartener tried to tackle a 5-layer cake recipe off Pinterest, then none of that matters. You lose. You won’t attract the customers who need you. You won’t hold their attention or appeal to them. You’ll have to rely on word-of-mouth or the off chance someone stumbles upon your site and sees it through rose-colored glasses. But don’t worry, if you have zero extra cash right now and you can’t afford to hire a designer, that’s okay. We’ve all been there. Work with what you have. That’s one of the well-known secrets of success. You’ll get there. If you want your business to grow down the road, setting aside money along the way and working towards the goal of hiring a professional designer to build on what you’ve got might be the smartest business decision you could ever make. The bottom line is this — whether you float to the top of the search engines amongst the best of the best or settle at the bottom of the cup with the seeds and the chunky stuff depends a lot on who’s making the juice.